With the passing of Proposition 64 in California legalizing recreational marijuana, most observers expected a big drop off in patients for doctors who prescribe medical marijuana. However, just the opposite has happened. 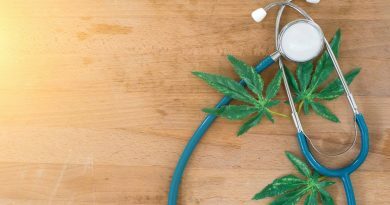 Because recreational marijuana will not become available in the state until early 2018, more people have turned to doctors in order to obtain cannabis. Dr. Deborah Klaisle, lead physician at 420 Med Evaluations in California, told the Sacramento Bee she believes more people are coming to her clinic because they feel marijuana is “more legitimate” with the passage of Proposition 64. Other doctors have reported a similar increase in business this past month. Voters approved the proposition on Nov. 8. In California, voters approved medical marijuana in 1996. Many doctors chose not to prescribe marijuana because it remains an illegal drug under federal law. For those who did see patients who wanted marijuana, it became a big part of their business. Doctors can charge as much as $150 to prescribe marijuana, although some discounted operations have opened that charge as little as $25, according to the Bee. Klaisle at 420 Med Evaluations charges $55, or $45 for repeat patients. However, many think the surge in patients could prove temporary. Some look to Colorado for indications of how the business will change over the next few years as recreational marijuana becomes available. The number of people who had medical marijuana prescriptions in Colorado dropped from about 128,000 to about 102,000 as the state began to allow recreational marijuana sales in 2014. However, it also affected the discounted, “doc in a box” type operations. As recreational marijuana began to become available, more people moved away from the discount doctors. As doctors deal with more medical marijuana patients, public officials are preparing for a bonanza of tax dollars in the wake of Proposition 64’s approval. The Golden State expects to bring in as much as $1 billion in tax revenue once recreational marijuana retails outlets are up and running. Both medical and recreational cannabis sales come with a 15 percent excise tax paid to the state. The state law gives California officials the leeway to impose additional taxes. They include a $9.25 per ounce cultivation tax on cannabis growers and $2.75 per ounce for marijuana leaves. Additionally, counties and cities within the state can choose to impose taxes of their own. The one group exempt from the excise tax are medical marijuana users who register with the state and obtain a medical marijuana card.